Davids Medienkritik just keeps rolling. It has been almost four years and our fire burns just as brightly as it ever has. We just crushed two more milestones: 3,000,000 VISITS - 5,000,000 PAGE VIEWS. Thanks to all our readers, contributors, donors, commenters, supporters, fellow bloggers and everyone else who helped us get here. Our top priority remains documenting bias and anti-Americanism in German media and growing the German blogosphere. We plan to keep it rolling until the wheels fall off. This site has become part of my daily reading. 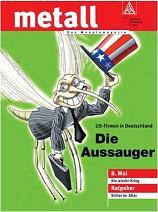 The way Americans are often portrayed in the German media is really disgraceful. This has been going on for years and years, and it needs to be exposed. Thanks David and Ray for doing just that. Good lord, I need to shut up. Congratulations, David and Ray. Unfortunately, as I've noted on other occasions, I assume the vast majority of your readers are Americans, so this doesn't bode well for your ability to actually influence the German media. Still, I think it's good that Americans are becoming aware of the unfair and demeaning way they are portrayed abroad. Actually, 20-40% of our readers are in Germany at any given moment - give or take ten percent, and I know for a fact that many members of the German media are aware of and influenced by our site. Looking at our SiteMeter right now (it is morning in the US and mid-afternoon in Germany) we have 46% in the US, 25% in Germany, 4% in Canada, another 16% scattered throughout Europe (in the UK, Austria, Poland, Netherlands, Norway, France, Belgium, Denmark, Spain and Czech Republic) and another 3% in Philippines, Algeria and Singapore. The remainder are on Satellite providers or listed as "unknown country." So while 50% of visitors are currently in the US or Canada - 41% are in Europe and another 3% are in Africa and Asia. That is a pretty good spread. In fact, we are reaching people all over the globe. Additionally, it is vital that Americans and other English-speaking peoples be made aware of what is going on. I think the German media assumes they can hide their hatred behind the language barrier and get away with it for the most part. We want to knock that barrier down. Reading this site helps me understand some of the bizarre experiences I have had interacting with Germans specifically and Europeans in general. I could not understand where their often twisted view of the US came from. I found their insistence that they were correct despite my assurances otherwise both confusing and insulting. I was (and am) left to conclude that they believe that I am either too stupid to know what is going on around me or so dishonest that I would lie about it. >> Additionally, it is vital that Americans and other English-speaking peoples be made aware of what is going on. Absolutely. And I say that as a German who regularly reads this fine blog. Congratulations to your success. I am reading this site for some years now without actally paritipating. When I came first onto this site, I was of the opinion that most (if not all) articles on this site weren't necessarily Anti-American but could be interpreted otherwise (and contained sometimes legitimate criticism). Additionally, I though that many American commentators on here were a little too harsh (and sometimes even arrogant) to the German commentators and did not want to see that the Germans may have a point (I was of the same opinion as many of them after all :)). Nevertheless, I continued to visit this site regularly. 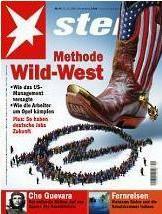 While becoming more pro-american (I wasn't actually Anti-American before but not really pro either) on the way and noticing Anti-Americanism in Germany it was not until very recently that I made a breakthrough in terms of achnowledging Anti-Americanism in the German media. While I realized it before that it may exist, it took some time to accept it and acknowledge it. And after debating with a German who didn't see or didn't want to see it (despite it being a very obvious example we were discussing), I realized how this work you are doing for many years now must be frustrating (I don't know if I would not simply have given up, if I was in your position). And I can also unterstand now, why you may sometimes lose patience with German commentators. But I think that I am an example of success for your site. While continuous self-consideration on my part was necessary, your site did her part - and it was not a small part either. Thanks for that. Well, thanks for telling us about your experience. Some of the commenters here (Americans - Germans - others) are not always well-behaved and do not always make intelligent comments. Overall, though, I think that we have some pretty interesting, fascinating conversations here that need to be had more often. Yes, it is frustrating to post obvious cases of bias or anti-Americanism and have some people (not just Germans) go into total denial mode. It is a defense mechanism. They try to pretend it isn't there or minimize it. I think your conversation with another German was a key moment. Until we can break through the widespread denial and unwillingness to face this issue, we won't really make much progress. But the fact that we have been able to engage so many people (even if they don't always agree - and frankly we aren't always right) has made this blog more than worth it. That said, this site is not here to defend US media and its horribly inadequate coverage of Europe - but that is another fish to fry. Thanks for your feedback. If you print DMK t-shirts then you can see who is lurking. Probably a number of Berlin players who would never admit to each other that they are. Does your blog engine let you check your referrer logs?